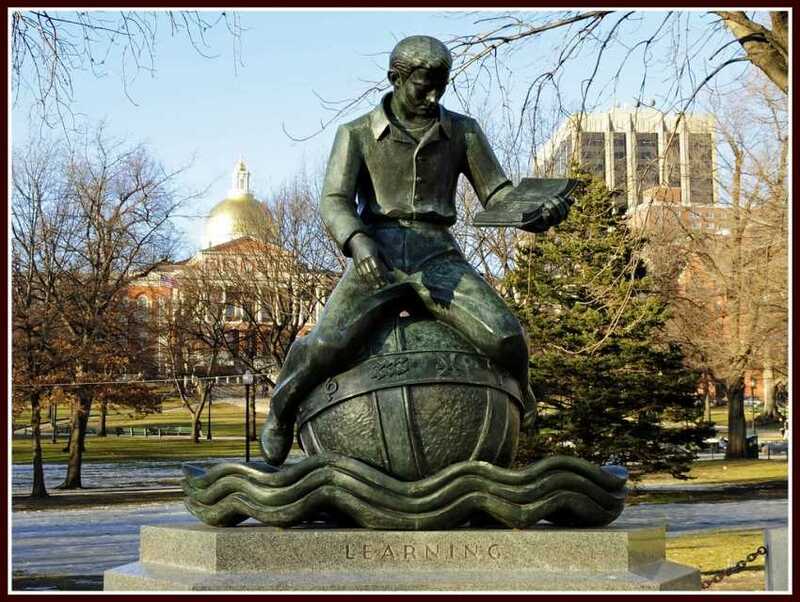 Boston Common is one of America's oldest park in the heart of Boston, offering recreation opportunities and a glimpse into history through numerous monuments to the past. Designated as public space in the 1640s, British soldiers later camped here during the Revolutionary War. 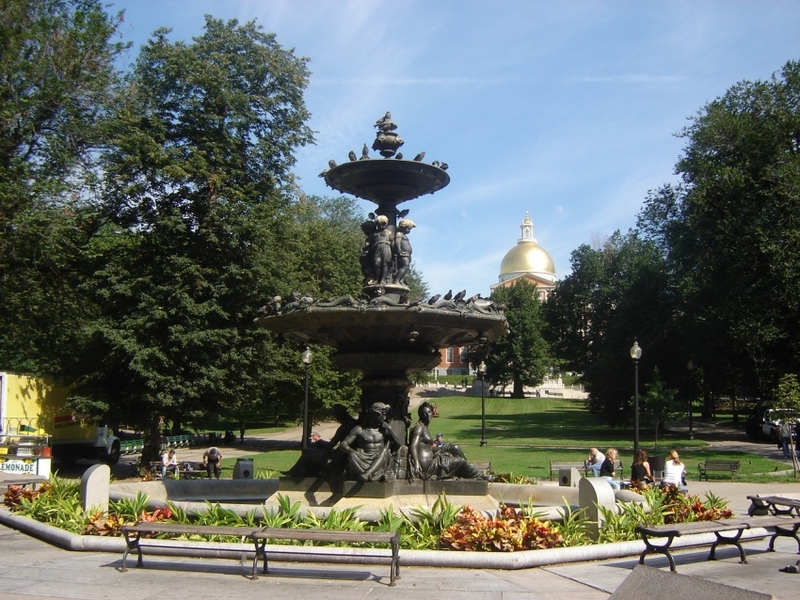 Part of the Freedom Trail, the park adjoins the Massachusetts State House and Beacon Hill. A favorite spot is the Frog Pond, which doubles as an ice skating rink. The park is the beginning of the Emerald Necklace, a seven-mile (12-kilometer) string of local parks designed by Frederick Law Olmsted, a popular landscape architect.